An unplanned road trip always makes us feel ecstatic. Despite drizzles and sudden rains, this January 8, 2011, Saturday afternoon still went pretty well after visiting a resort / farm somewhere in Calabanga. The resort / farm is non other than LRV Agri-Science Farm or more commonly known as a resort in San Bernardino, Calabanga. It's obviously a project of Congressman LRV from the very name itself. There's already a previous entry about this resort but we used photos from other photographers. 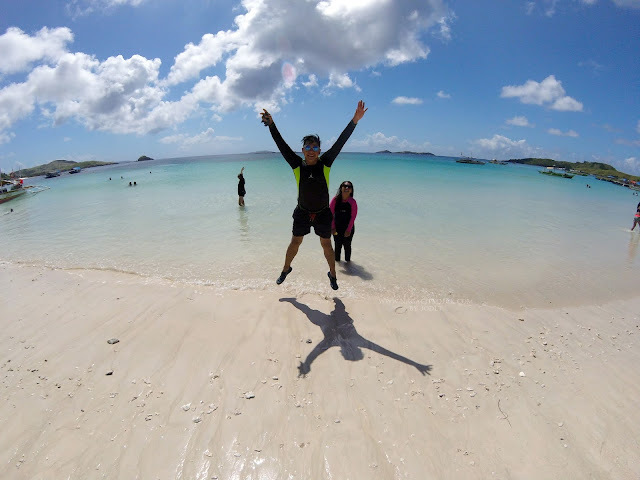 Late last year, we have been seeing a lot of photos in our forum about the resort which made us more eagerly interested in visiting the place. We asked for feedbacks and informations from an event organizer, photographers and some locals from Calabanga for us to be ready if ever we are to invade the place. Now, how to go to LRV Agri-Science Farm? 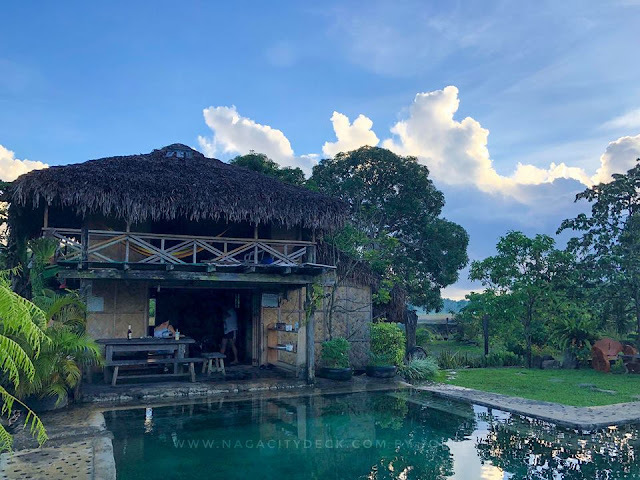 It's approximately a 20 to 30 minute-drive (around 17 km) from Naga City town proper to the resort depending upon your speed of course.If you are familiar with Amang Hinulid of Calabanga then going there will not be a problem for you because it's almost of the same route. A jeepney from Naga to Calabanga will cost you a fare of Php 20.00 only. 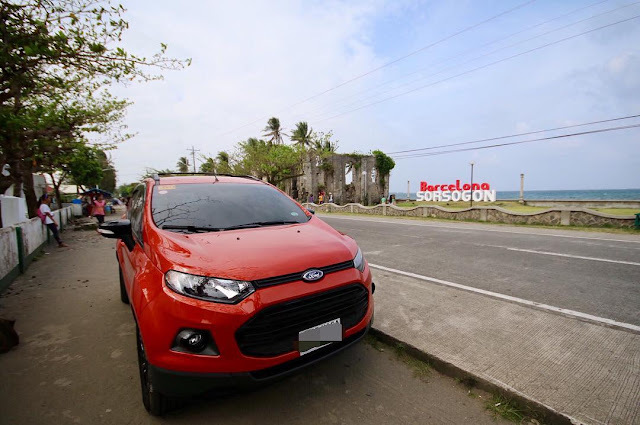 The towns that you'll be passing by from Naga before getting to Calabanga are: Canaman, Magaroa, and Bombon. If you drive through a lot of sharp curves before going to Calabanga then you're on the right road. Before you reach the town proper of Calabanga you'll be able to notice the road with Santan flowers on the both sides. It means you're near the intersection where you will turn left going to San Bernardino. On the opposite road (right) is the way going to the downtown area of Calabanga. The front building houses the information center and receiving area. Two rooms on the rootop with carpeted grass on the outside. The design of the buildings is really eye-catching and unique. You can see the following photos on top of the front building. The place is not yet done but the beauty is already there. We will definitely go back there after a few months and experience what the resort and farm can offer. Cheers! Please contact the resort with the provided contact number. 7 cabana rooms, 4 kubo type rooms, 10 ecolodge rooms and a greenhouse (family). Each room has twin queen size beds and can accommodate four (4) guests, fully air-conditioned with private T&B. We have a fully air-conditioned function hall which can accommodate 250 pax. Our restaurant is ready for a whole day dining. They may offer you special packages for bigger functions.